Crocodiles of the World is the ONLY zoo in the UK where you can enjoy a Giant Galapagos tortoise experience – meet the largest living species of tortoise in the world! 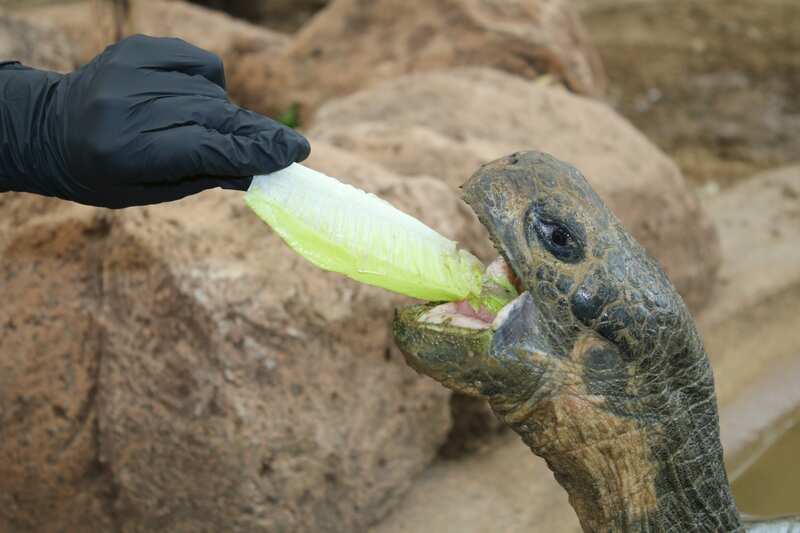 This unique experience involves not one, but two species of tortoises! Firstly, you’ll spend some time with our African spur thigh tortoises, the largest tortoise species from mainland Africa. 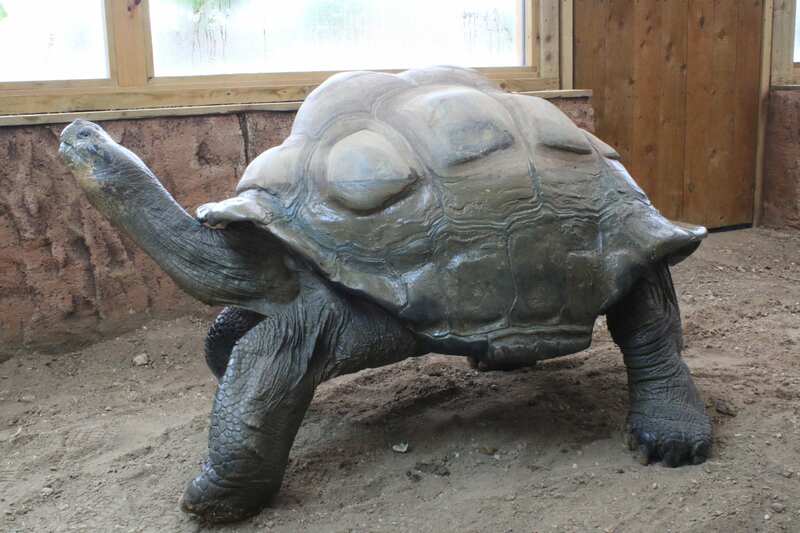 Then you’ll enter our Galapagos tortoise enclosure and meet our gentle giants! Our fully grown male Dirk is the largest tortoise in the UK and he lives alongside his three female companions Zuzu, Isabella and Charlie. 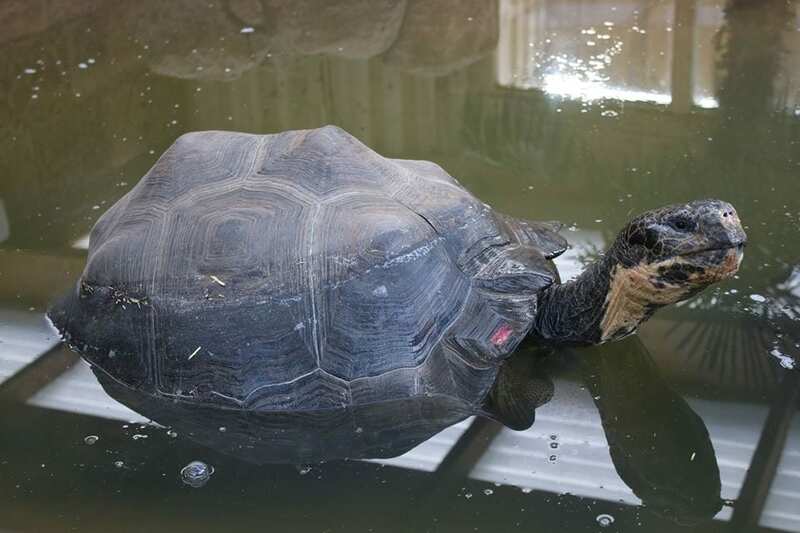 These are not only the largest tortoise species, but also the most endangered. Our Giants may look familiar as they all featured on Channel 5’s Big Week at the Zoo and our females were regulars on Channel 4’s Secret Life of the Zoo. *Please note that this is only suitable for children aged 5 years and over. By taking part in this experience you will be supporting Crocodiles of the World’s vital conservation work. Discover where they are from, their diet, individual personalities and their importance for conservation of this species. General admission is included in the Tortoise keeper experience. Participants should arrive at the meeting point 1:40pm for a prompt 1.45pm start. Appropriate closed toe footwear must be worn for this experience and you will be provided with wellies and powder free nitile gloves. These must be worn for health and safety reasons. Maximum of 6 participants per experience. Children must be at least 5 years of age and be accompanied by an adult. Each adult needs to pay normal zoo admission prices and must remain by the enclosure throughout the duration of the experience. Participants must listen to the keeper at all times. Your safety as well as the welfare of all animals is our upmost priority. The keeper can stop the encounter or ask participants to exit the tortoise enclosure at any time should they feel it necessary. Disabilities: Participants with learning or visual impairment must be accompanied by a carer who takes full responsibility for the adherence of health and safety and welfare protocols. Accompanying carers can enter the enclosure but must not participate in the experience. Unfortunately there is currently no wheelchair access available for this experience.